Emrah Kostem, who graduated this year and is now at Illumina, gave a talk about the research he completed in the lab this summer at our retreat. It is available here and gives a good overview of what the goals of our group are and some details of the projects that Emrah completed in the lab. One of the topics he discusses is his recently published work on estimating heritability, which is quantifying the amount that genetics accounts for the variance of a trait. He discusses his work on how to partition heritability into the contributions of genomic regions(10.1016/j.ajhg.2013.03.010). He also talks about his work which takes advantage of the insight that association statistics follow the multivariate normal distribution and applies this to two problems. The first is the problem of selecting follow up SNPs using the results of an association study(10.1534/genetics.111.128595). The second problem is the problem of speeding up eQTL studies using a two stage approach where only a fraction of the association tests are performed but virtually all of the significant associations are still discovered(10.1089/cmb.2013.0087). In: Am J Hum Genet, 92 (4), pp. 558-64, 2013, ISSN: 1537-6605. In: J Comput Biol, 20 (10), pp. 817-30, 2013, ISSN: 1557-8666. In: Genetics, 2011, ISSN: 1943-2631. Genome-wide association studies (GWAS) have been effectively identifying the genomic regions associated with a disease trait. 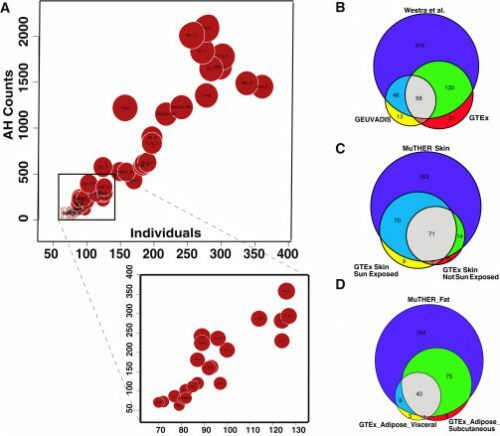 In a typical GWAS, an informative subset of the single nucleotide polymorphisms (SNPs), called tag SNPs, are genotyped in case-control individuals. 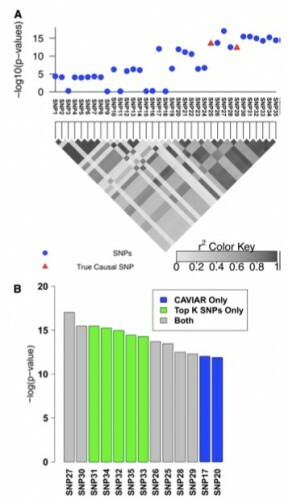 Once the tag SNP statistics are computed, the genomic regions that are in linkage disequilibrium (LD) with the most significantly associated tag SNPs are believed to contain the causal polymorphisms. However, such LD regions are often large and contain many additional polymorphisms. Following up all the SNPs included in these regions is costly and infeasible for biological validation. In this paper we address how to characterize these regions cost-effectively with the goal of providing investigators a clear direction for biological validation. We introduce a follow-up study approach for identifying all untyped associated SNPs by selecting additional SNPs, called follow-up SNPs, from the associated regions and genotyping them in the original case-control individuals. We introduce a novel SNP selection method with the goal of maximizing the number of associated SNPs among the chosen follow-up SNPs. 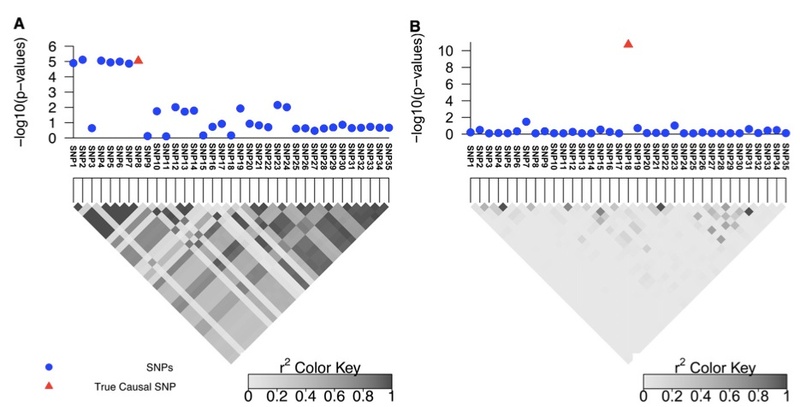 We show how the observed statistics of the original tag SNPs and human genetic variation reference data such as the HapMap Pro ject can be utilized to identify the follow-up SNPs. We use simulated and real association studies based on the HapMap data and the Wellcome Trust Case-Control Consortium to demonstrate that our method shows superior performance than the correlation and distance based traditional follow-up SNP selection approaches. Our method is publicly available at http://genetics.cs.ucla.edu/followupSNPs.